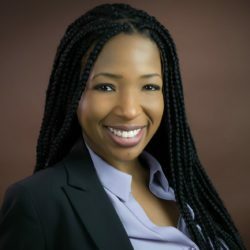 Grace Atukpawu-​Tipton has more than 18 years of experience in program evaluation, evaluation technical assistance, and applied social science research in the fields of child welfare, education, and psychology. Atukpawu-Tipton leads the process evaluation for the HealthySteps Outcome Pilot Project. She provides technical assistance to home visiting grantees through the Design Options for Home Visiting Evaluation project and serves as a member of the Home Visiting Applied Research Collaborative. Previously, Atukpawu-Tipton was the project director and site liaison for the Implementation, Cost, and Outcome Evaluation of a Two-Generation Strategy project. She was also part of the research team for the Mother and Infant Home Visiting Evaluation-Strong Start project. In the area of child welfare, Atukpawu-Tipton served as a technical assistance liaison and evaluator for the Cross-Site Evaluation of the Family Connection Discretionary Grants. She also provided technical assistance to Children’s Bureau grantees on foster family recruitment and educational stability. Prior to joining JBA, Atukpawu-Tipton conducted research on the psychosocial development of youth in foster care as they transitioned to independent living. She worked with abused and neglected children as a social worker for the Los Angeles County Department of Children and Family Services. Atukpawu-Tipton received a Ph.D. in educational psychology from Stanford University and an M.S.W. from the University of California, Los Angeles.